In Westport itself, there is a 15-min walk to the cinema complex and a 20-min walk to the Solid Energy Centre which contains family and competitive swimming pools, gymnasium and conference facilities. We are located on the West Coast of the South Island where you will find one of the most scenic drives in the world. As for motorbike road riding, it cannot be surpassed. Westport is an excellent location for outdoor activities and nature lovers with many beaches, bush walks and a beautiful river close at hand. 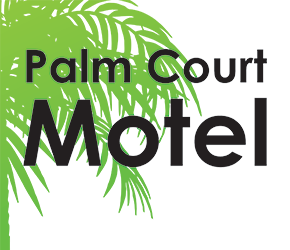 20-min from the seal colony, jet boating, horse trekking, motorbike riding, caving, rafting, Nile Valley train ride and "Coal Town" museum. 40-min from fly fishing and also assorted mountain biking tracks. You can easily travel to a historic mine or take a tour to a working open cast mine. 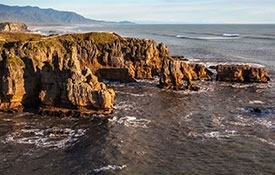 45-min and you can be exploring the Punakaiki Pancake Rocks. 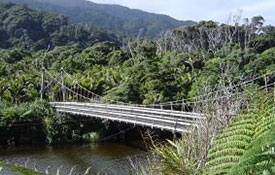 Karamea is only a 1.5 hour scenic drive for a lovely day trip to enjoy the wonders of the Opara Arches and everything Karamea has to offer, including mountain biking the Heaphy track during the winter months. 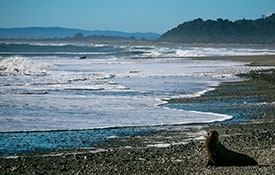 One of New Zealand's most accessible seal colonies can be found just out of Westport on the edge of Tauranga Bay. The 10-min track from the car park is suitable for wheelchairs and leads to viewing platforms directly overlooking the colony. Although this is a year-round colony, the best time to view is October to March when the big bull seals return to mate and the pups are at their most playful. 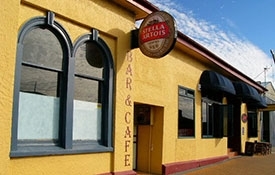 Relax in the Denniston Dog Bar and Restaurant surrounded by local memorabilia, dine on the stunning front deck area, or have a beer or wine in the well-stocked bar. The Denniston Dog menu is tasty, well priced and socially conscious. Karamea is a secluded haven, situated between the mountains and the sea, on the river flats of the Karamea River and the coastal plains. Karamea caters for the tramper and caver, birdwatcher and botanist, geologist and mountain biker, hunter and fisherman, the more adventurous kayaker and rafter... or simply those seeking a family holiday 'away from it all.' 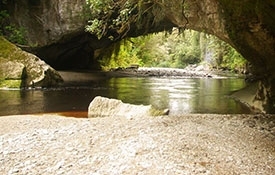 The area is a natural wonderland, with the beginning or end of the famous Heaphy, Wangapeka and Karamea-Leslie tracks and the Oparara Basin with the Honeycomb Hill Caves and Limestone Arches in the Kahurangi National Park. The Oparara Basin in one of the finest features of the Kahurangi National Park. 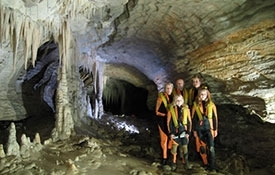 For a million years the Oparara River system has been at work sculpting the 35 million-year-old limestone basin into an intriguing complex of caves, arches and channels. The famous Pancake Rocks and Blowholes are just a 20-minute loop walk from where you park your vehicle on the main highway at Punakaiki. Looking like giant pancakes the curious limestone formations are especially spectacular at high tide in a westerly sea. Take the rainforest train through primeval rain forest, explore an enormous calcitic cave paradise of stalactites and stalagmites. Float through incredible glowworm lit grottoes and have fun bouncing down the Nile River rapids.